Not as good ale wise as it used to be - had a poor pint of Wandle here. 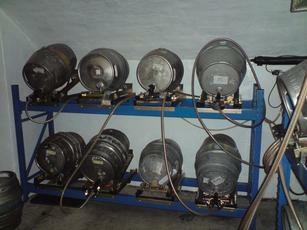 It's getting increasingly difficult to find a decent ale pub in London. I have to admit that I love this place despite the fact that it's square in the middle of the busy London tourist trail. 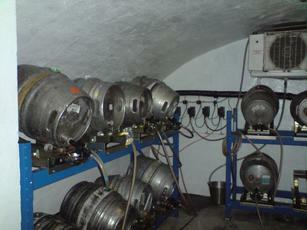 Beautiful interior, pleasant enough staff, decent food, solid real ale selection. Most recent visit included a well-poured Truman's Swift Golden. Nice pub which manages to be friendly and welcoming despite being in one of the most tourist-overloaded places on the entire planet. Pleasant, old fashioned but popular. 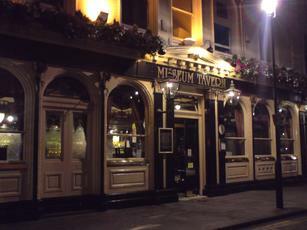 During the day concentrates on food for the tourists visiting the British Museum, but a nice range of ales in good condition, with the bonus of a 10%discount for CAMRAmembers. I like this pub. 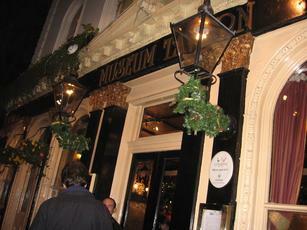 On the corner of Great Russell St and Museum St, looking over to the British Museum the pub attracts tourists and Londoners in roughly equal numbers. With a traditional Victorian interior, if you look carefully you can see the doors that would originally have led to separate bars - how small some of them must have been! Food is the Taylor Walker standard of hearty pub fayre and enormous cod and chip suppers, which seem popular with the foreign visitors; and the beer is a good range of cask ales and craft beers. A welcome resident beer is Theakston's Old Peculier which is worth a visit on its own. 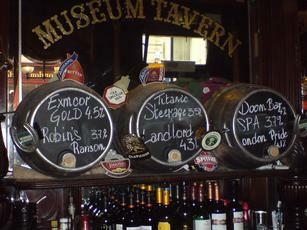 CAMRA members get 10% off cask ales which makes the prices well under £4: very reasonable for Central London.